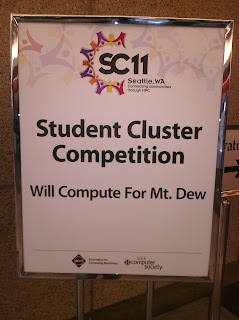 I was again asked by Doug Fuller to be one of the interview judges for the SC11 Student Cluster Competition. We had a wonderful crew of panelists to interview the teams, and this was the best set of teams set forth. Teams must perform a set of calculations while remaining inside a power limit. Applications this year included POP, Mr. Bayes, Pretty Fast Analysis (PFA), and Gadget. I very much enjoy seeing what the teams come up with. This year one of the problems includes a code that benefits greatly from GPU acceleration but is not required. As teams are limited by the amount of power it was great to see that some teams decided that GPU was not the way to go. For a balanced system to get the greatest amount of work done a few decided to forgo GPU hardware all together. I was very impressed with how deep down some teams had gone, and to what lengths they went to get the most out of their power budget. Any of these teams would fit well into an HPC facility. Thanks again to Doug and his team for putting together a great opportunity and Brad from Bank of America for sponsoring the competition. 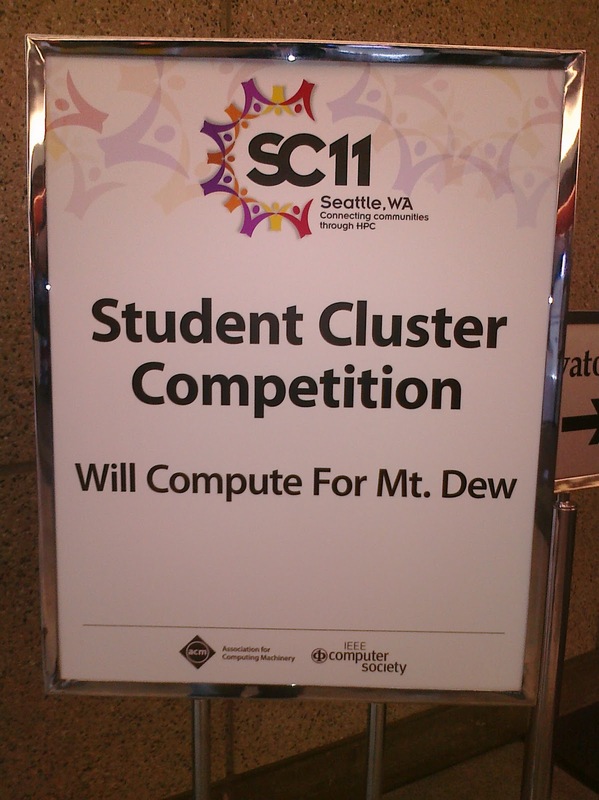 Jeff Squires and I interview SC10 SCC winners.